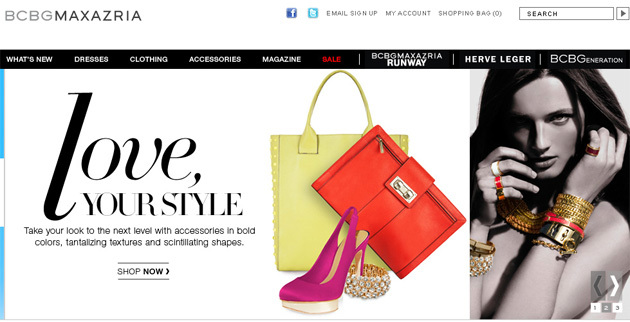 BCBGMAXAZRIAGROUP is taking the world by storm. With critically acclaimed collections, a loyal following of Hollywood’s top celebrities and a strong worldwide presence, this fashion powerhouse has evolved into one of the hottest names in the fashion industry today. Founded in 1989, BCBGMAXAZRIAGROUP is the lifetime vision of one man: Founder, Designer, Chairman and Chief Executive Officer Max Azria. In 1981, after eleven years of designing a line of women’s wear in his native Paris, Azria moved to the United States and launched Jess, a series of new-concept retail boutiques offering hip French fashion to American women. After years of success, Azria decided to pursue his dream of launching a design house that spoke to the modern woman-thus BCBGMAXAZRIA was born. Named for the French phrase bon chic, bon genre, a Parisian slang meaning “good style, good attitude,” the brand embodies a true combination of European sophistication and American spirit. Key to BCBGMAXAZRIA’s success has been Azria’s ability to maintain his creativity while maximizing his keen business sense. As one of today’s rare breed of designer-businessmen, Azria used his talent to create a new platform in the industry. With the launch of the BCBGMAXAZRIA brand, he redefined the designer category by offering innovative, high-quality clothing at contemporary price points. As a result, Azria was inducted to the Council of Fashion Designers of America (CFDA) in 1998.